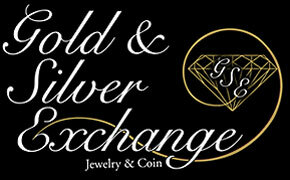 The Gold and Silver Exchange beliefs and goals are simple. Treat everyone fairly every time. Through education and customer service we want to build an informed clientele that knows they are getting the best deals on jewelry, the best quality on repairs and the best payout for their gold and silver items. Providing Educational services and guidance so our customers can "know" not just "trust" they are getting great deals for the quality they desire. Having a large selection of both new and estate jewelry with unbeatable quality and pricing. Making quality jewelry repair quick, easy and affordable and standing by our work. Committing to integrity in buying and continually giving the best payouts anywhere.